Jim and Steve, who manage analysis and education at the highly regarded OptionVue Research, have done an excellent job making fairly complex concepts very understandable. They limit the scope to three key reasons for using options: speculation, enhancing your returns, and managing risk in your portfolio. 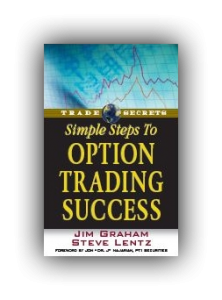 Obviously, there are many more nuances to options trading than you'll find in this free e-book. But it provides an excellent starting point for newcomers, and is also a great refresher course for experienced traders who have let trading habits get sloppy. This free E-Book contains 98 pages and is presented in pdf format.